Geologic carbon storage (GCS) is the process to store large amount of carbon dioxide (CO2) captured from stationary CO2 emission sources in deep subsurface for permanent storage. GCS is widely recognized as a promising strategy to reduce emissions of greenhouse gas (GHG). However, the potential for mobilization of radioactive uranium (U) from U-bearing minerals in deep subsurface due to CO2 injection remains a concern. In this study, A TOUGHREACT model was developed to investigate the potential of U-bearing mineral (UO2) dissolution in a hypothetical deep CO2 storage reservoir. 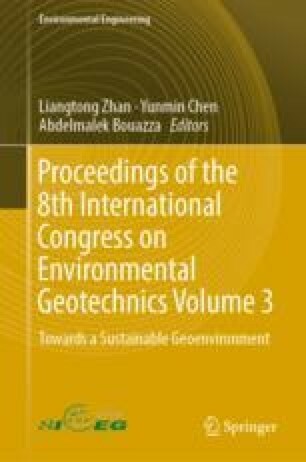 An average reservoir temperature of 67.5 °C, an average reservoir pressure of 18.7 MPa and a CO2 injection rate of 0.1 MMT/year (3.17 kg/s) were used in this study. Numerical simulation results show that HCO3– concentration increased as a result of CO2 dissolution after injection of CO2, which led to release of [UO2(CO3)3]4–. However, released [UO2(CO3)3]4– did not migrate toward the shallow aquifer through leakage pathways specified in the model, while CO2 could migrate upward through the leakage pathways. In summary, the area of uranium contamination is restrained in deep subsurface and notable migration of uranium to shallow aquifer caused by CO2 injection does not occur.